On July 17, 2018, Dr. Jaime King offered a statement and testimony at a Congressional hearing to examine state laws and policies that improve transparency of health care costs for consumers and the impact that they had on consumers. King provided witness testimony alongside Dr. Michael Chernew, Professor at Harvard Medical School’s Department of Health Care Policy. You can watch the entire proceedings; Dr. King’s five-minute testimony begins at 40:30. 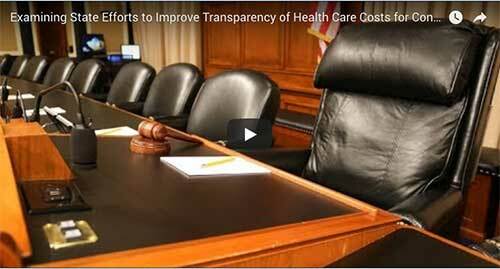 What impact will you have on health care costs?